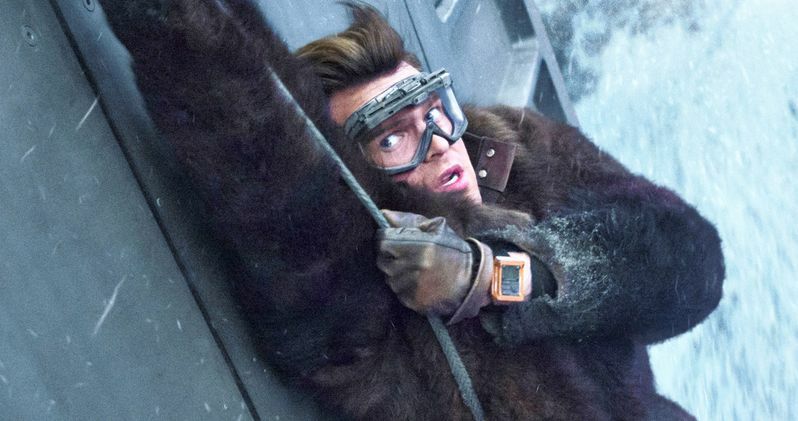 Disney rolled out its highly-anticipated Solo: A Star Wars Story in theaters nationwide for Thursday sneak preview screenings, and it has already set a new box office record. The Thursday sneak peek tallies are in, with Solo: A Star Wars story earning $14.1 million, the highest Thursday sneak peek over the Memorial Day holiday weekend, breaking the record of $13.2 million set by Pirates of the Caribbean: At World's End in 2007. That movie also holds the all-time four-day Memorial Day weekend box office record of $139.8 million, which is in jeopardy of being broken by Solo: A Star Wars Story now. Early box office projections had put Solo: A Star Wars Story at $170 million for the four-day holiday weekend, but those predictions have cooled considerably, with projections now between the $130 million and $150 million range for the four-day weekend. Disney will roll out Solo: A Star Wars Story in 4,381 theaters this weekend, the fifth widest release in history, just barely beating out Iron Man 3 by one theater (4,380). Solo: A Star Wars Story will also likely mark the first Memorial Day weekend film to gross over $100 million in four years, since the $110.5 million tally of X-Men: Days of Future Past in 2014. Here's what Paul Dergarabedian, senior media analyst for comScore, had to say about this year's holiday frame. "Memorial Day weekend needs to get its groove back after a multi-year downturn that ranked last year's frame at No. 18 all-time for the holiday and unfortunately marked the third straight year the industry did not deliver a $100 million four-day opener. Solo looks to restore this holiday frame to its former glory and its place as one of the most important weekends of the year and the all-important summer movie season." Unlike most holiday weekends, which are normally jam-packed with some of the biggest films of the year, Solo: A Star Wars Story will have the four-day frame to itself, although it will have to contend with last weekend's winner, Deadpool 2, which took in $125.5 million last weekend and is likely eyeing a second weekend in second place with between $50 million and $60 million, with Avengers: Infinity War likely slipping to third place with roughly $20 million, Book Club likely falling to fourth with between $10 million and $12 million and Life of the Party likely rounding out the top 5 with a tally between $5 million and $7 million. Solo: A Star Wars Story will likely have the lowest three-day (Friday through Sunday) tally, which we're projecting at $110.5 million, since Disney purchased LucasFilm in 2012. 2015's Star Wars: The Force Awakens debuted with a then-record of $247.9 million, while 2016's Rogue One: A Star Wars Story earned $155 million and last year's Star Wars: The Last Jedi debuted with $220 million. Solo: A Star Wars Story also marks the return to the traditional May release date for the Star Wars franchise, with this exact date also marking the 41st anniversary of Star Wars: A New Hope and the 35th anniversary of Star Wars: Return of the Jedi. You can head over to Variety for their full report on the holiday weekend box office.